A few people from Wings (@tomis, @michaelgadhia, @libby, and I) are participating in Blake Boles’ “Way Of Adventure” Course. 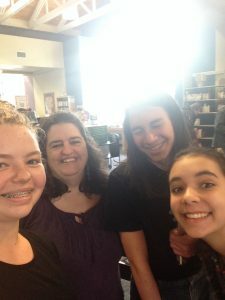 Our first challenge out in the community was to go to our local library, ask a librarian to help us find a book, and then take a selfie with them. I decided that I would ask for/get a book about German grammar, because that’s one of the most (if not the most) difficult things about learning German (or any other language, for that matter). Greetings, goodbyes, introductions, and telephone calls. Train station, hotel, post office, airport, auto shop, and the doctor’s office. There are so many more, but I won’t bore you any longer. Needless to say, this should be a very helpful book to look over! I also got a book called Ein Hund fürs Leben. The translation is (I think) A Dog for Leben. I’m hoping I’ll be able to understand it! Now, the selfie with the librarian was very awkward. I think that Liberty documented the experience beautifully in her own blog about the challenge, therefore I’ll quote her a bit on this one. Green = Liberty’s words. We were all acting really awkward when we asked for our selfie. The librarian came around the desk for the picture and waited for probably 20 seconds while Michael was trying to figure out how to take a selfie. Then Alona finally just grabbed the phone from him. 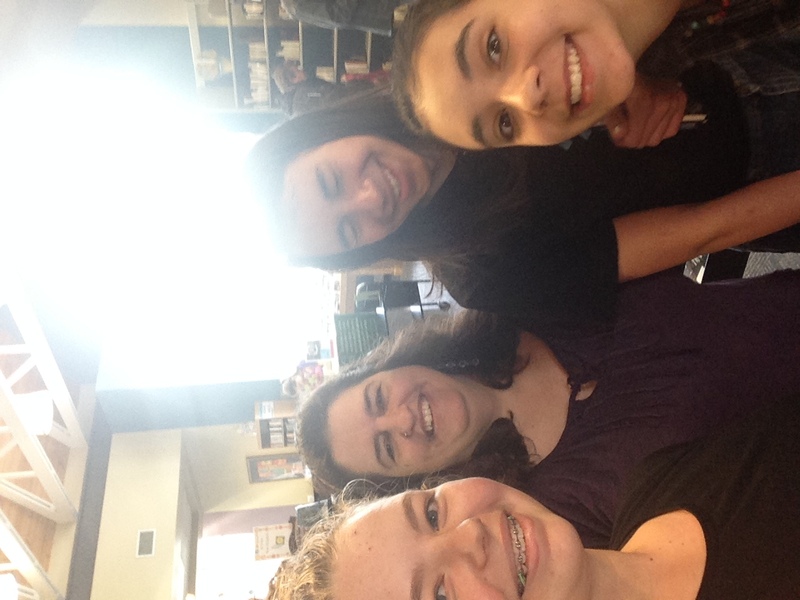 The selfie was then taken, and we thanked the librarian and hurried out. I have a feeling this course is going to be a real challenge, but I think we are all very excited to see what other ridiculous things we need to do in this course. Left to right: Me, Librarian, Michael, Liberty.